310 p., 14,8 x 20,5 cm. 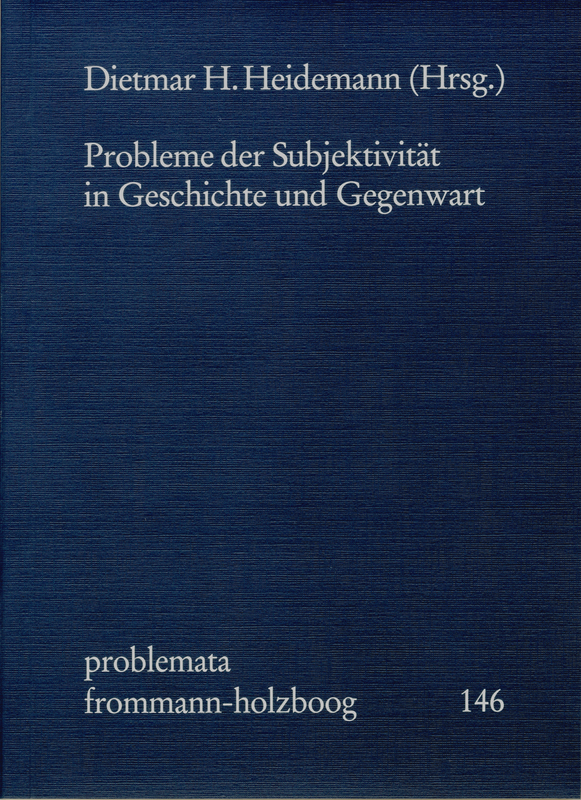 With contributions by Manfred Baum, Reinhard Brandt, Mario Caimi, Claudio Cesa, Daniel O. Dahlstrom, Karen Gloy, Jens Halfwassen, Dietmar H. Heidemann, Hans-Dieter Klein, Silvestro Marcucci, Adriaan Peperzak, Otto Pöggeler, Ludwig Siep, Xavier Tilliette and Burkhard Tuschling. Subjectivity is one of the central philosophical problems in history and in the present. Following the editor’s general introduction, fourteen contributions cast light on the problem in diverse philosophical fields – and do so from both systematic and historical perspectives. The essays provide a comprehensive survey of the discussion that has been conducted with renewed vigor for several years in the realm of the philosophy of subjectivity. Reinhard Brandt: Ego sum – nemo sum? Das von Dietmar Heidemann herausgegebene Buch [...] gibt einen Einblick in die facettenreiche Wirkungsgeschichte der Theorie vom Ich. Das Spektrum der Beiträge namhafter Autoren umfasst [...] auch die aktuelle Debatte der Bioethik.